Despite the vindictive Winchell’s efforts at sabotage, the show became an instant hit on Broadway. Wartime audiences adored its ‘can-do’ American pioneer spirit. Celeste Holm, as Ado Annie, made “I Cain’t Say No” a crowd favorite, and it and the other songs, despite their being written to reveal characters’ inner feelings in the context of the plot, became stand-alone popular hits. This was an enormous departure from previous Broadway practice, which had seen stand-alone songs inserted into weak plots without much attempt to relate them to the show’s main action. Though many of the show’s best male dancers were drafted into the armed services right after its opening, de Mille’s choreography made many of them and their female counterparts household names in the world of dance. 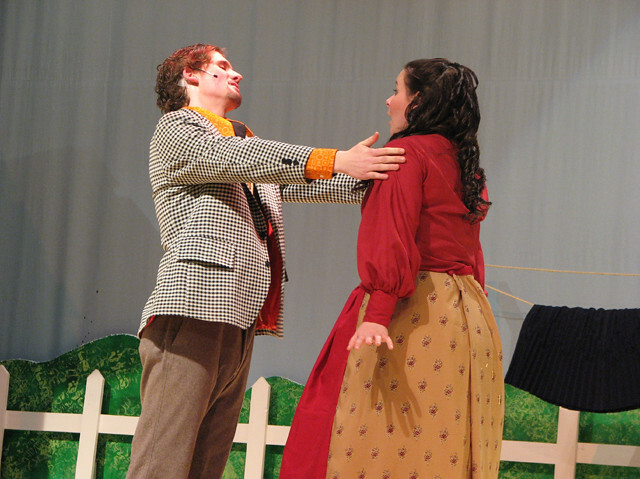 Endlessly revived since, Oklahoma! eventually suffered the fate of many old warhorses of the American musical repertoire—dismissal to ( and often “sanitization” at the hands of) secondary schools and amateur groups, who often strove to follow the movie version rather than the original. Despite this overexposure, its music remains permanently etched in the American popular culture, and fortunately, recent professional revivals at home and abroad have attracted new fans, surprised that this supposed museum piece can still ignite a rousing reaction from audiences. 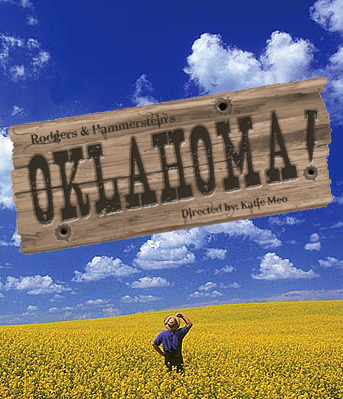 Director Katie Meo and her talented cast, crew, and orchestra are honored to bring this American classic to you, and we hope that in rediscovering Oklahoma! you will experience for yourself the “beautiful morning” that revolutionized the American stage for those wartime audiences back in 1943.